As part of our "Practicality of Service Design in Established Organisations" series, we interviewed Tom to gain some insight into how the UK's leading children's charity has adapted to enable service design. The aim of the series is to share knowledge and insight of how organisations can adapt to the changes necessary to enable service design and design thinking. 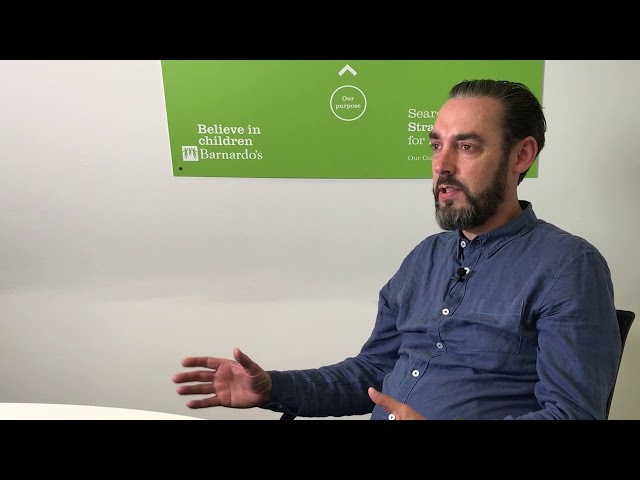 Tom Norman is a Service Design consultant currently working at Barnardo's Children's Charity. Tom is a creative thinker with a passion for transformational and positive change. He has considerable experience working and co-designing with organisations such as the UK Home Office, Department for International Trade and the Ministry of Justice. To create a co-working environment you need persistence with your vision and patience to allow that vision to seep into the organisation. and innovative adaptation of services to align with the ever changing social landscape. Barnardo's, in partnership with The National Female Genital Mutilation (FGM) Centre has developed an assessment tool to increase social workers confidence in assessing cases where Female Genital Mutilation is a concern. The Tool contains best practice guidance, including how to review referrals and work with families, and an online FGM assessment, which has been created in partnership with the Digital Team of Barnardo’s. The online assessment is an innovative tool that, based on the users answers to a selection of questions, generates a risk level containing information on areas of safety that need to be improved, legal duties that should be followed and flags for other safeguarding concerns including forced marriage. The results can be printed and saved by the user, an option that users said was key. The online assessment was tested by users in both 1-1 sessions and real-world cases, as well as being independently evaluated. Just shy of 2 months after its launch the FGM Assessment Tool has been accessed over 1,900 times by over 1600 users, and 430 of these users have gone on to use the Online FGM Assessment. Our next interview is with Loic Boisdron. Loic is an experienced Service Design & Strategy consultant with a unique blend of experience from design consultancies, public sector organisations and large corporations. He helps organisations uncover compelling user insights and business opportunities to build innovative services and products.